In this busy world which is so outwardly directed, the importance of turning within to listen more closely to and work with your own inner process is overlooked. Focusing is a self-help skill whereby you turn your attention inwards, and engage your inner process. In presence you sense the whole of how you are feeling about situations or issues in your life. Focusing is different from just thinking about your issues or getting in touch with feelings. It is a journey inwards when in presence you intimately engage your inner process. Focusing can result in greater calm, wiser choices, and a deeper relationship with yourself, although of course this varies from client to client. 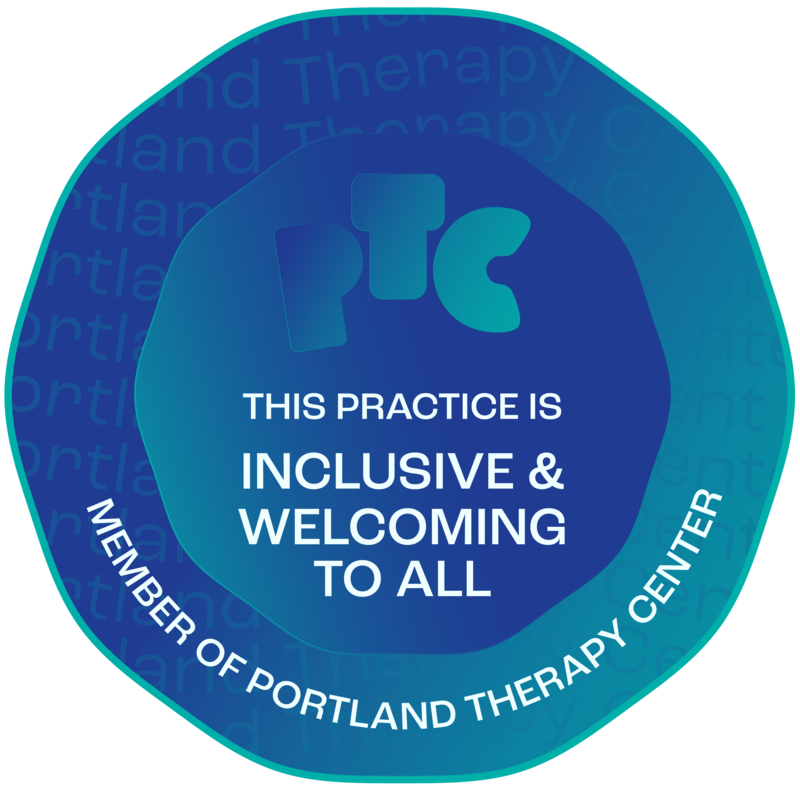 In my Portland therapy practice, I seamlessly integrate Focusing into my counseling sessions. Additionally, I offer individual Focusing sessions by telephone to persons across the country. On occasion I also formally give workshops and offer focusing teacher training. The Focusing process is based on a radical philosophy of change: that there is no need to do anything to what you are feeling in order to experience change. Instead, change occurs naturally when, resting in presence, you turn your attention to the felt sense of your experience. You experience the felt sense as a undefined, preverbal sense of “something”, like a quality, related to the issue upon which you are focusing. It is preverbal, because it lies at the very edge of your process between the known and yet to be know. As you engage it with curiosity, your process unfolds further into understanding. Simply put, the occasions to use this method of working within are as varied as are the occasions that would benefit from being more closely in touch with yourself. Focusing: How Did It Originate? Focusing was discovered by philosopher and therapist Eugene Gendlin of the University of Chicago who researched the question: "Why is therapy helpful for some people, but not others?" Studying tapes of hundreds of therapy sessions, Gendlin discovered that: successful therapy clients experienced a vague, hard-to-describe inner awareness – a bodily "felt sense" about their problems. Gendlin also discovered that attending to this felt sense in specific ways proved to be a key component of successful therapy. He then developed Focusing as a method for how to teach this skill. Since Gendlin’s discovery, Focusing has been integrated into numerous therapeutic modalities. Its practice has expanded beyond the therapy community. Now individuals practice Focusing by working alone, with partners, and in Changes groups. Individual sessions: I offer individual sessions by phone, Skype, Facetime, or in-peson. Clients bring to session concerns upon which they seek to work while being guided through an Focusing session. You may want to Subscribe to email notices of my classes and workshops in Portland, OR. Focusing – or turning inwards to accompany your experience as it unfolds – is integrated into all aspects of my counseling / therapy practice. However, some clients specifically seek me out to use focusing in one or more sessions to clarify personal issues. I am also certified by the international Focusing Institute as a Focusing teacher, now and then I offer trainings in Focusing which can lead to your being certified as a Focusing teacher by the Focusing Institute. For more information about trainings I may give, see the Events Calendar for any trainings which I currently may have scheduled. To be informed of future trainings, you may wish to subscribe to email notifications of trainings and workshops I give. To do so, you can use the blue “Subscribe” button above. Also, you may want to explore these other discussions on my website which include a Focusing orientation. As Focusing relates to body sensing, see: Portland body oriented therapy. As Focusing relates to listening within to discern one’s inner process: Portland existential counseling with a personal authenticity focus and authenticity counseling and therapy. If you want to explore Focusing inner work with me, use this button to schedule a 50-minute complimentary consultation with me at my NE Portland office.